How I Gained It: My weight gain was basically attributed to eating all the wrong foods and way too much of them. Pizza, burgers, chips — you name it, I ate it. Fast food was the quick way to satisfy my hunger and was the easy route to take since I was just so lazy. I hated cooking even though I am really good at it, so we always ordered pizza, subs or takeout from local restaurants. I was on a blood pressure pill and a water pill as well. 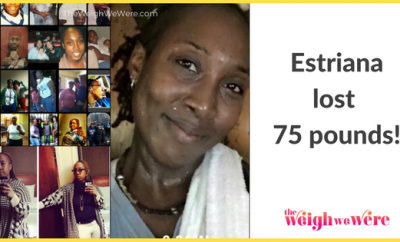 At my heaviest weight, I was 237 pounds. I lost weight and got down to 200, but then went back up to 232. Then I was down to 190 and then up to 208 again. That’s when I decided it was time to stop roller-coastering and start something that I was going to finish. Breaking Point: In April of 2010, my husband had to go out of town for a week for some training for his job. We were living in an apartment until we could move into our house, and it was unseasonably warm for Ohio in April. I decided to pull out some summer clothes that I had tucked away in October. To my surprise, they did not fit. I got on the scale and was astounded to see that I had ballooned up to 208. I cried for an hour. After I wiped away the tears, I decided that was not going to be me anymore! How I Lost It: I started walking “laps” around our apartment complex. In the beginning, one lap nearly killed me, but I kept going. I changed my meals and lowered calories, and by the end of the first week, I had lost five pounds. I thought, “I can do this!” — so I pressed on. Weeks went by and as it got hotter out, I moved my exercise into the small gym the complex had on site. As a resident, it was free for me to use. It had a treadmill, elliptical machine and a small strength-training machine. At first, I thought, if I could burn just 100 calories without keeling over, that would be an accomplishment. Soon 100 became 150 and so on. Then walking became jogging, which then became running. I continued working out, eating right and staying on track. My goal was to be a size 8, since I had never worn “single digit” jeans before. Well, size 8 arrived! I was so excited. I figured if I could get to a size 8, I could certainly get to a size 6, which I did. Now I weigh 104 pounds and I wear a size 00 or 0. I work out every day to maintain, spending about 30 minutes on the treadmill, lifting weights to stay toned and doing crunches. I’m half my size! These days, I eat a lot of veggies, lean chicken or fish, salads, fresh fruit, whole grain breads and soy milk. I can’t tell you the last time I stopped for fast food, and I don’t even drink soda these days. I love water, and flavor it with MiO zero-calorie flavor drops. I cook all the time. We don’t ever order takeout, no pizza is delivered here and we rarely hit the restaurant scene, unless it’s a special occasion. At that point, I will check the menu on my phone or laptop to get the calorie content and sodium content of the meals available and make my choice beforehand. I have no problem taking my own salad dressing with me, my own Splenda or Truvia and even my own bread! An added little bonus — I no longer take blood pressure meds and no longer have a need for a water pill! I know how hard it is to do. No one can do it for you. It’s like quitting smoking (or so I am told) — you know when the day comes to start, no one can push you beforehand. The tried and true way still does work! 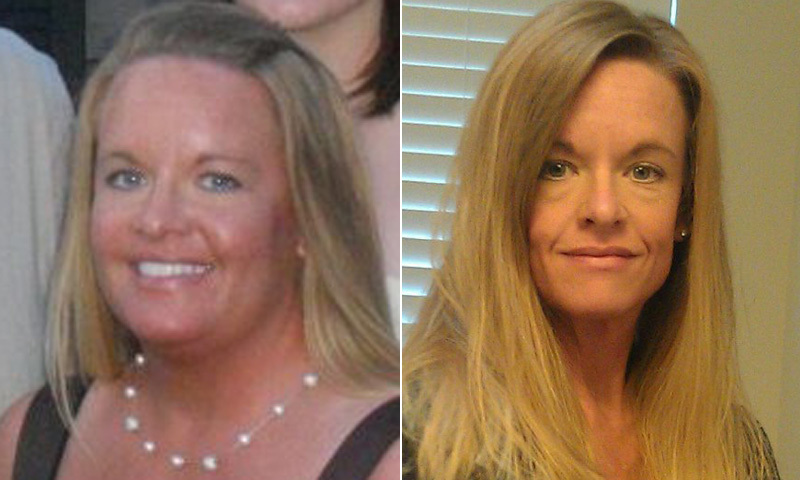 Jennifer…Thanks for sharing and congratulations on your success and healthy lifestyle!! I’m inspired by your story in particular because I love to walk and recently moved to an apartment. No more excuses about the weather either, I have waterproof boots! You gave me a spark today, thanks again!